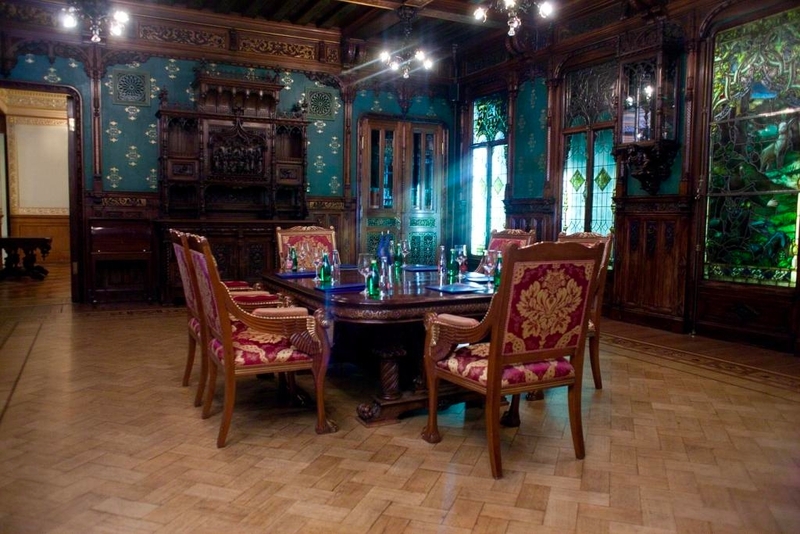 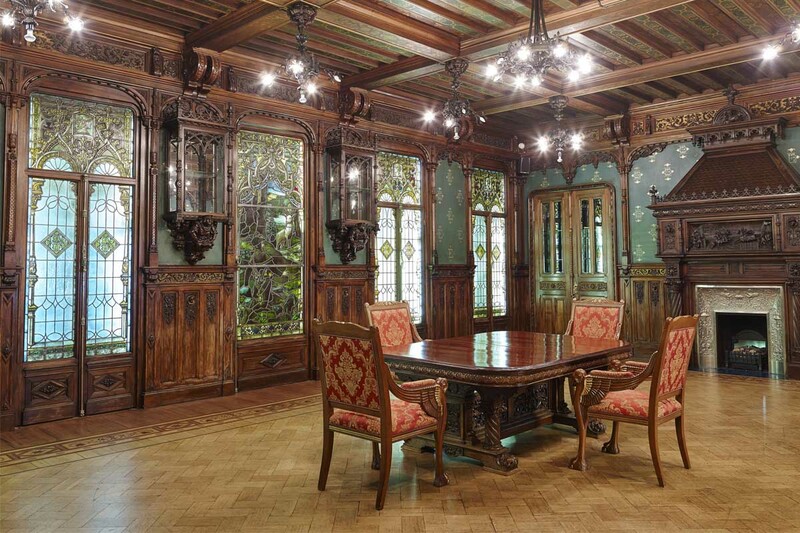 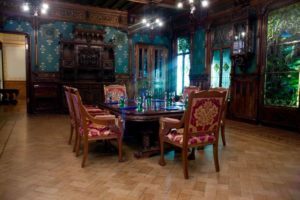 The former Dining Room of the Eliseev family is designed in French Renaissance style, and is an intimate and refined setting for private dining, buffets, and wine tastings. 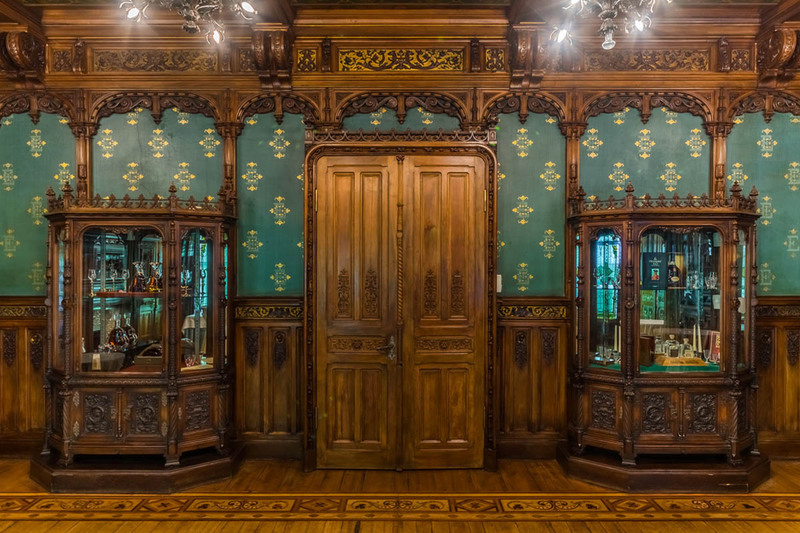 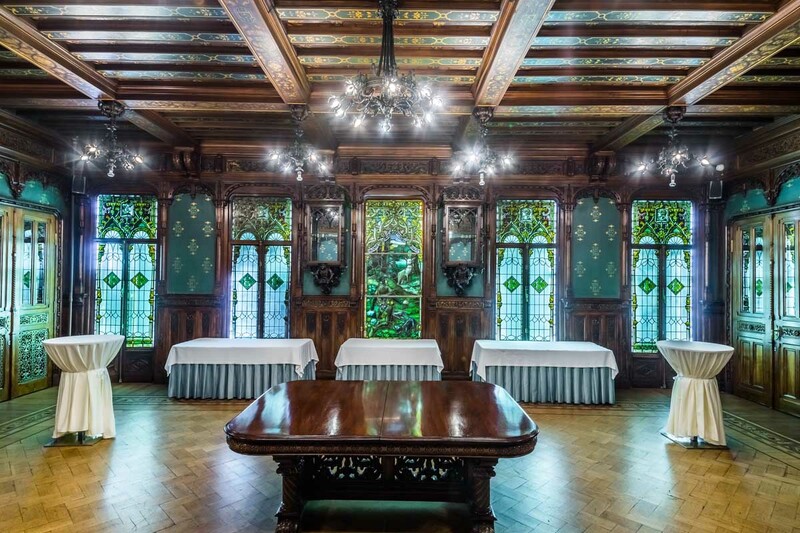 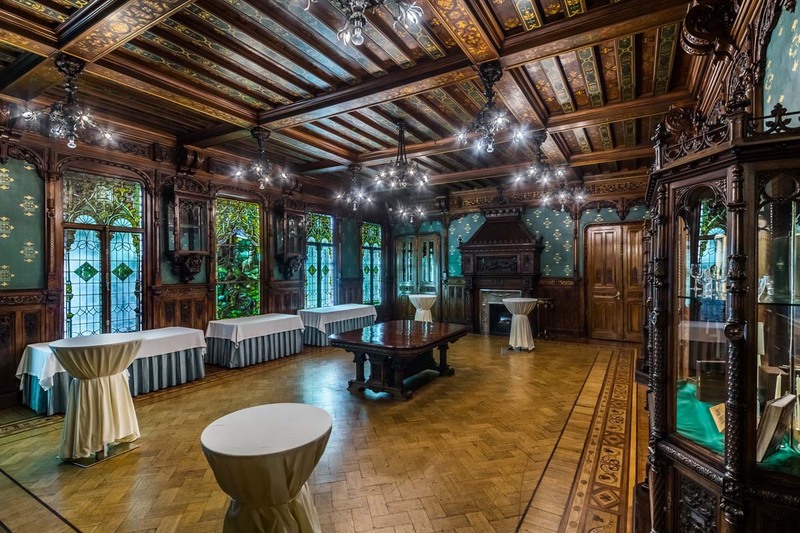 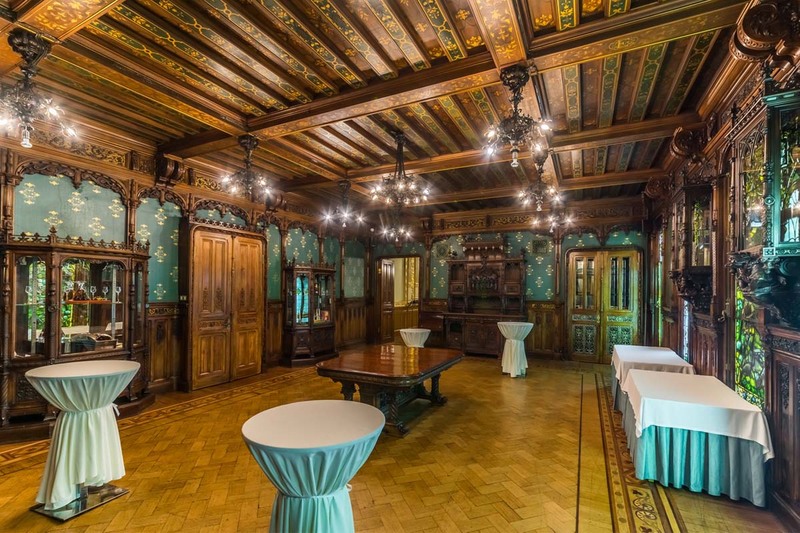 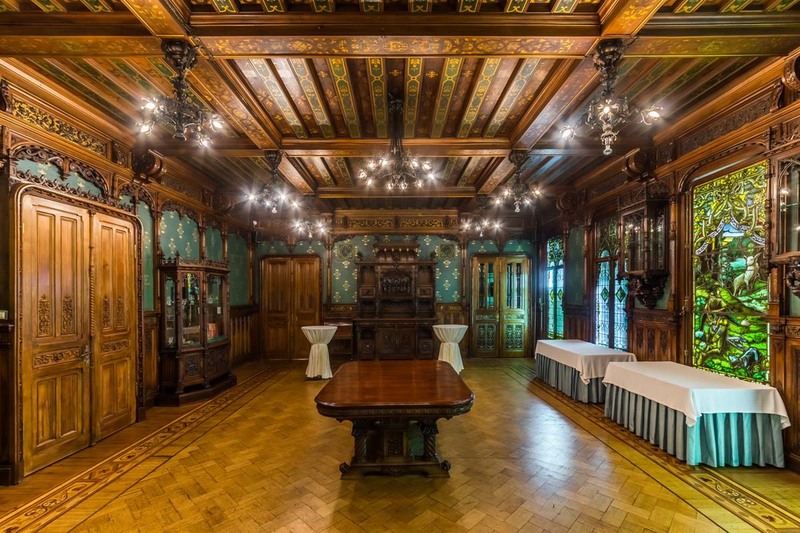 The walnut panelling, impressive furniture, and meticulously restored stained-glass windows depicting King Henry II of France and Diane de Poitiers, date back more than a hundred years, and create a club-like atmosphere. 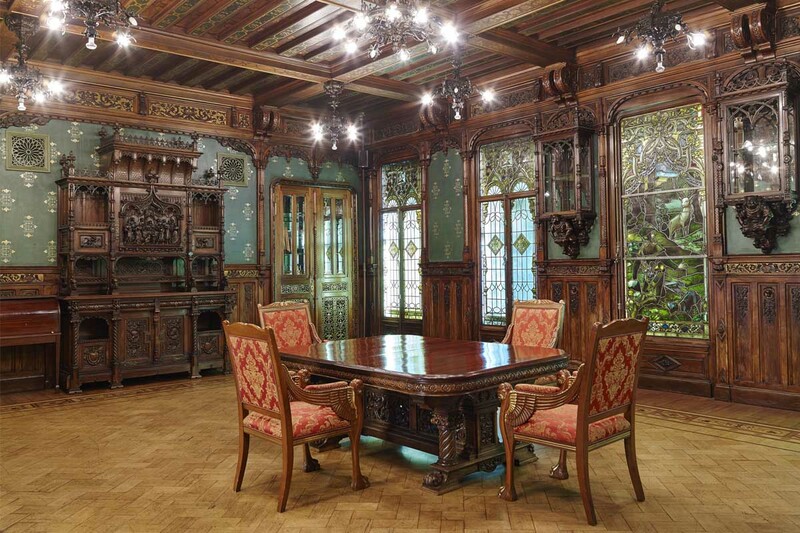 The Eliseevs’ silverware was kept in the cupboards of the dining room. 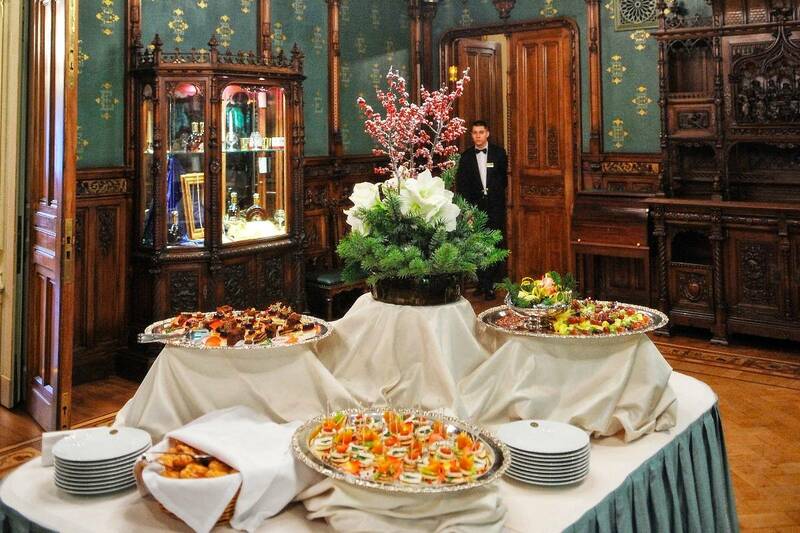 Legend has it that before they left Russia the family concealed the plates and dishes somewhere deep within the palace.